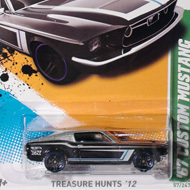 6/15 from the 2012 Treasure Hunts series. 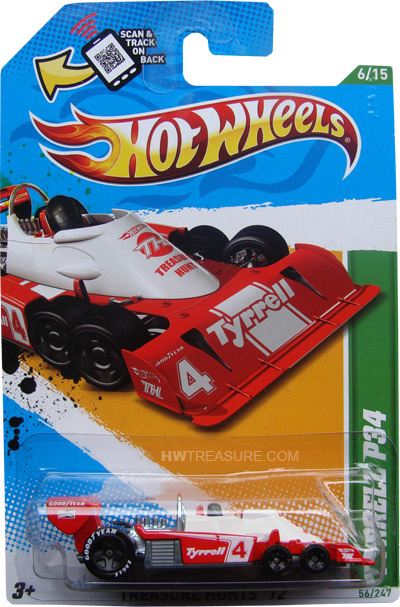 The red race car sports red and white graphics including “Tyrell” & “4” on the sides, front, and spoiler; the Hot Wheels logo, “TH”, and “TREASURE HUNT” on the front; as well as a variety of other logos. 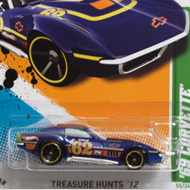 It has a dark grey driver, black 5-spoke wheels, Goodyear Eagle tires on the rear, and a grey plastic Malaysia base.